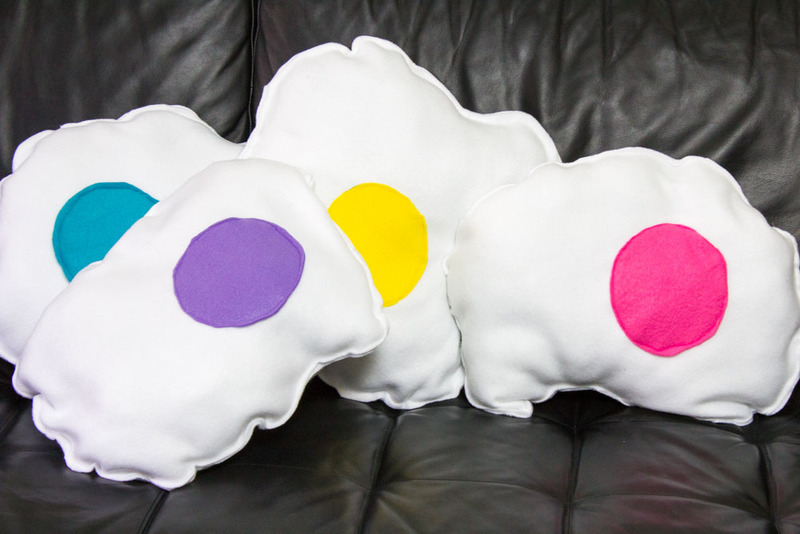 Now is around the time of year that Do-It-Yourself-er in all of us is getting super ambitious about making all of our own Christmas presents. I know I am. But the closer and closer the parties and subsequent big day get that ambition seems to dwindle and we find ourselves at starbucks or target shopping for gift cards and random tchotchkes. So much for those half finished scarves and hats we were making. They’ll just sit in a corner until next year. But you know what you guys? 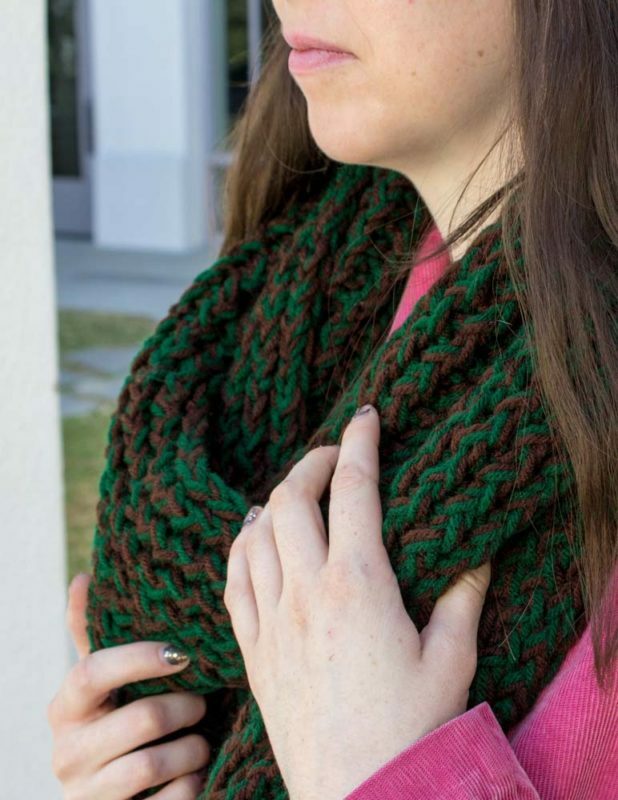 You can still make really awesome hand made scarves that don’t take forever to knit. 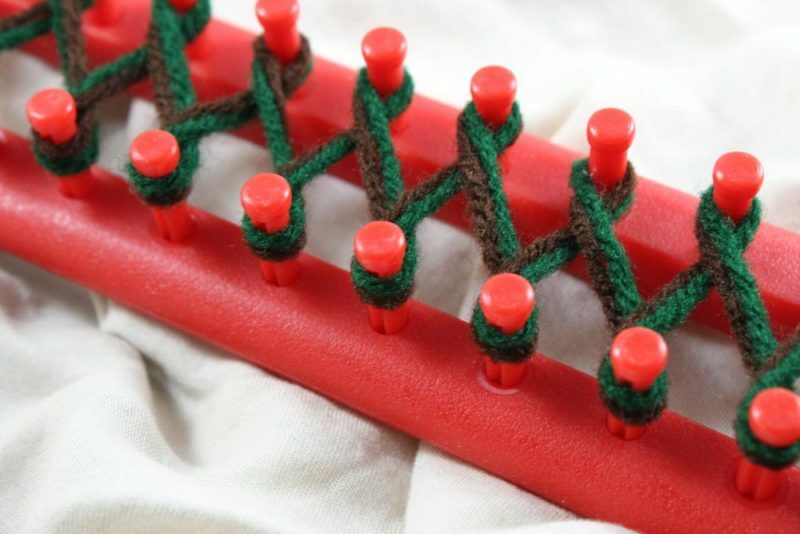 Let me introduce you to the knitting loom. 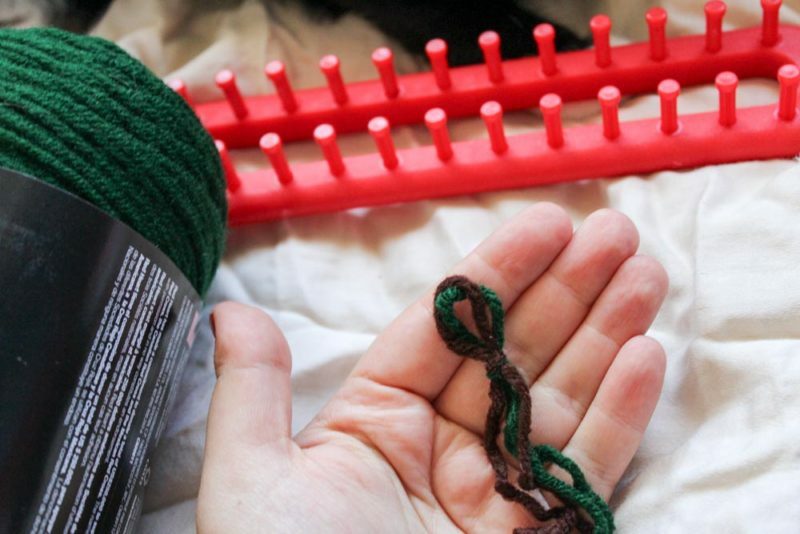 The answer to all of your scarf making woes. 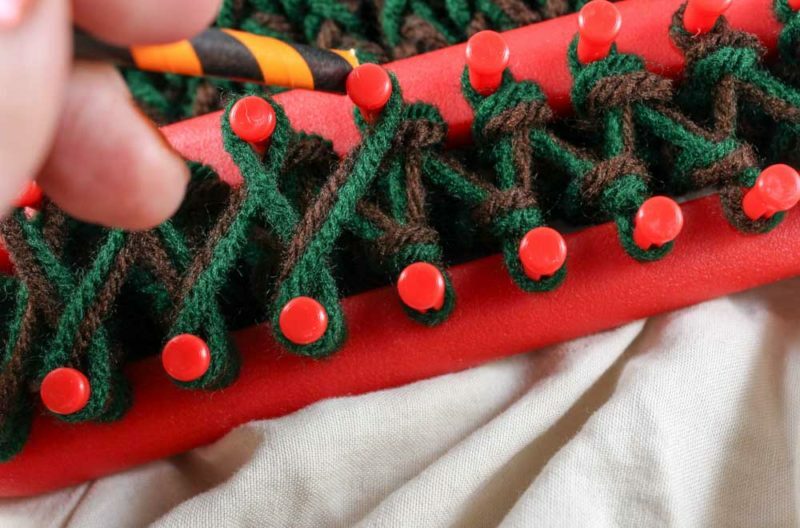 So sit down, kick up your feet, turn on netflix and let’s make a loom knit scarf! Here’s the thing with yarn you guys. Use what you like. The chunkier the yarn, the faster it is going to knit up. I used 2 coordinating skeins of Red Heart super saver yarn, but that didn’t knit up as fast as some other yarns I’ve used. Find something you like and go with it. Experiment. You’re making something hand made, it’s not going to be perfect! To create a “yarn pen”, cut a paper straw in half and carefully thread your yarn down the tube. I used a shishkabob stick to get it all the way down. 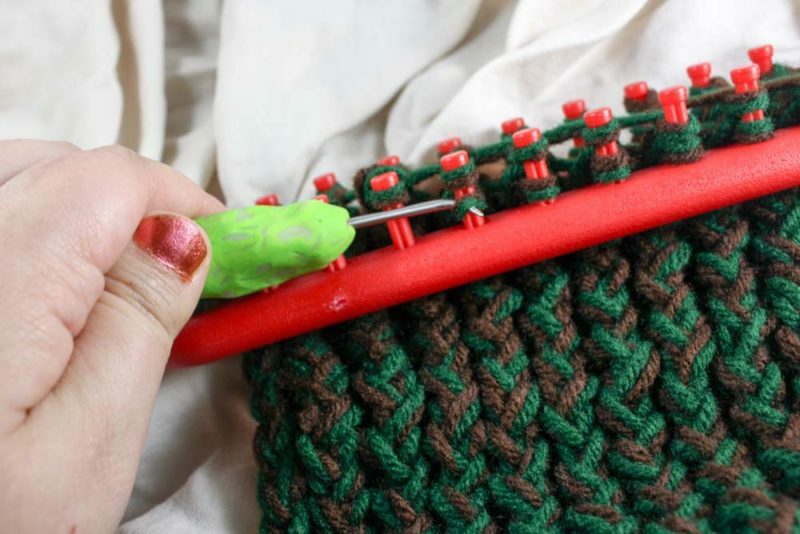 This will help you to have nice even stitches across the scarf and save your fingers from too much twisty turning. With the yarn pen pushed down toward the yarn balls, start with a slip knot with about 4-5 inches of tail. 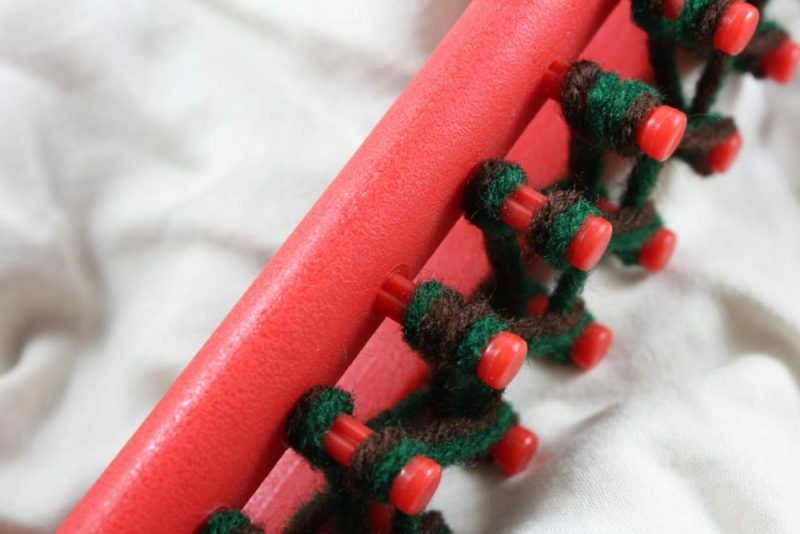 Secure the slip knot to the very end prong of the loom. Got it? Good. Now, depending on the size you want your scarf, I’d suggest using 12 on each side, so 24 total. Whatever you are most comfortable with. Let’s number the prongs. All the prongs closest to you on the bottom are the odd numbers and the top row are the even numbers. 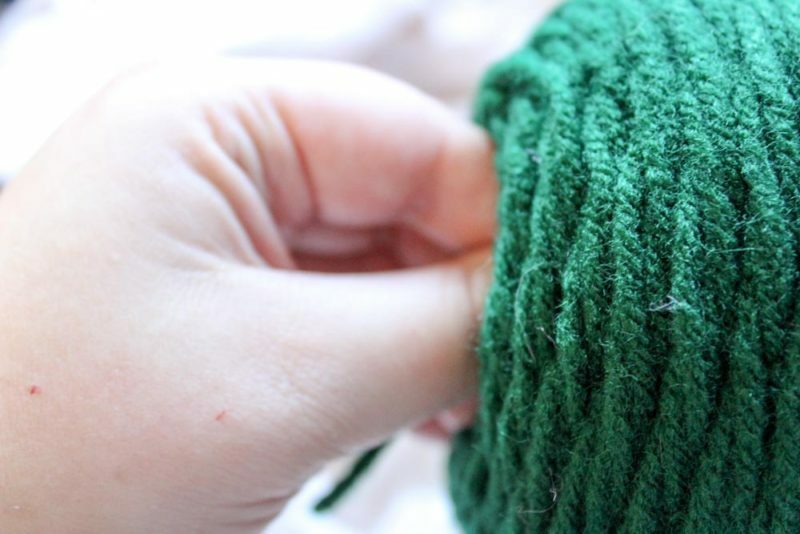 Grab the non-tail end of the yarn and put it between prongs 1 and 3. Wrap it clockwise around prong 1 and take it up in between prongs 2 and 4. 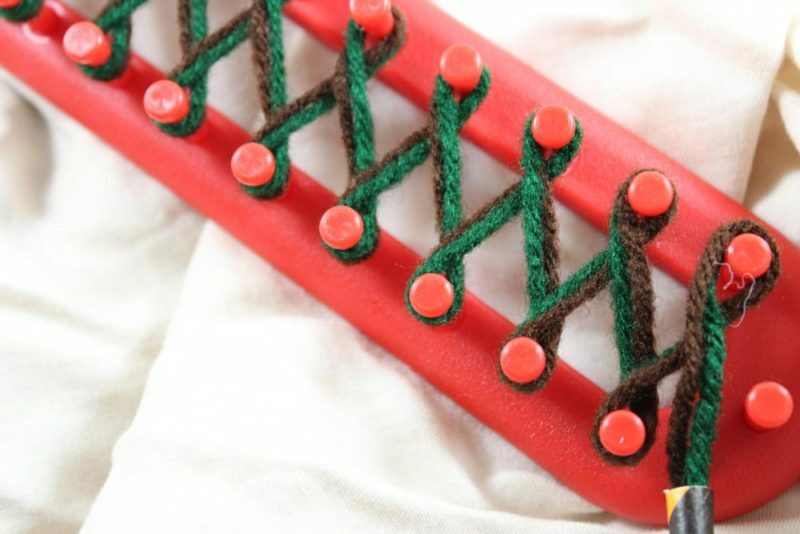 Wrap the yarn counter clockwise around prong 2 and bring it down in between prongs 2 and 4. Repeat the figure 8 pattern until you get to the desired width of the scarf. I had a 24 prong loom so I did the whole length of the loom. Once you get to the last prong, weave your yarn (and yarn pen) back up though the last prongs you used on the opposite side. Repeat the figure 8 pattern back the way you came. 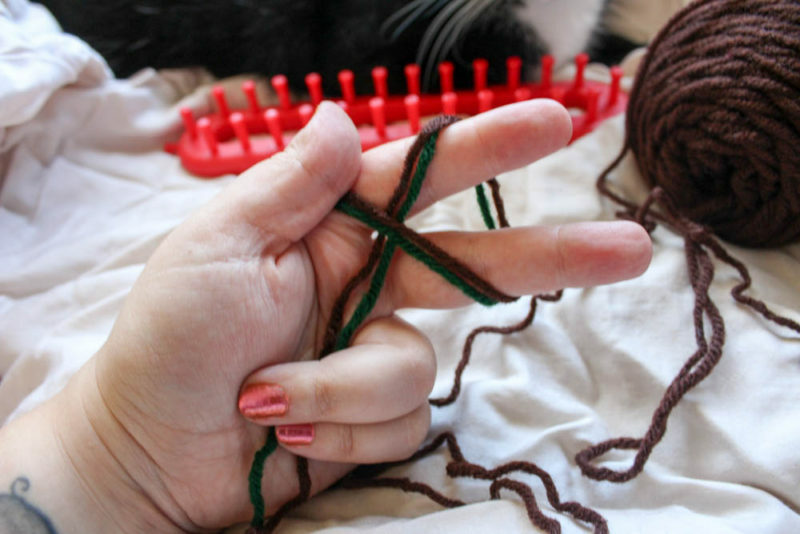 When you get to the end, pull the yarn between two pegs on the other side and hold it with your finger. Once you’re double wrapped grab the loom hook. 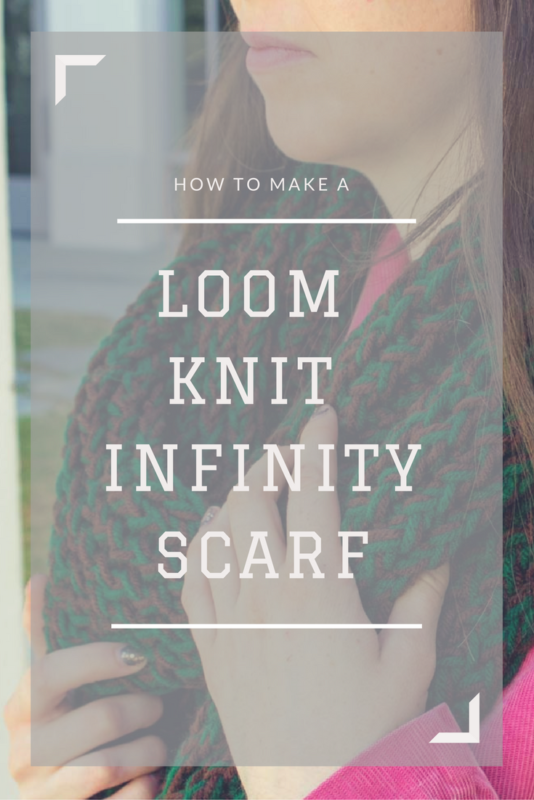 It’s time to get to the fun part of your loom knit scarf. 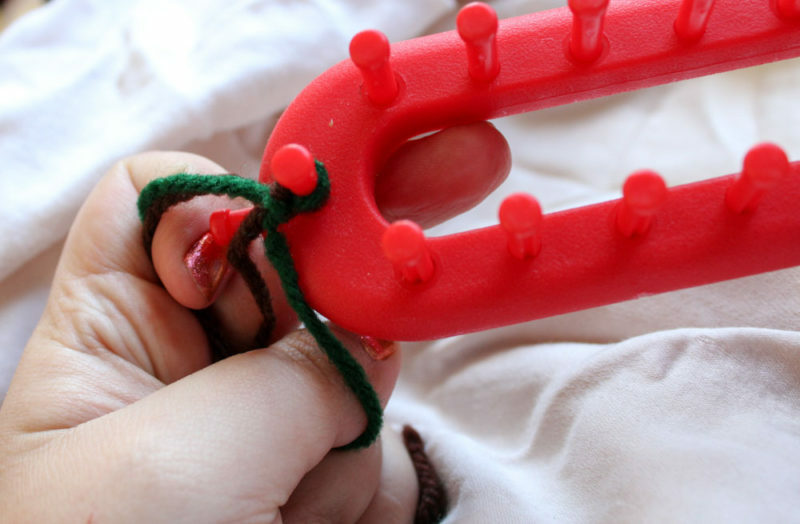 With the loom hook working from left to right, take the bottom loop and bring it up and over the top one then lifing the bottom loop completely off the prong. Continue this process all the way around except for the last loop since it will only have one loop on it. 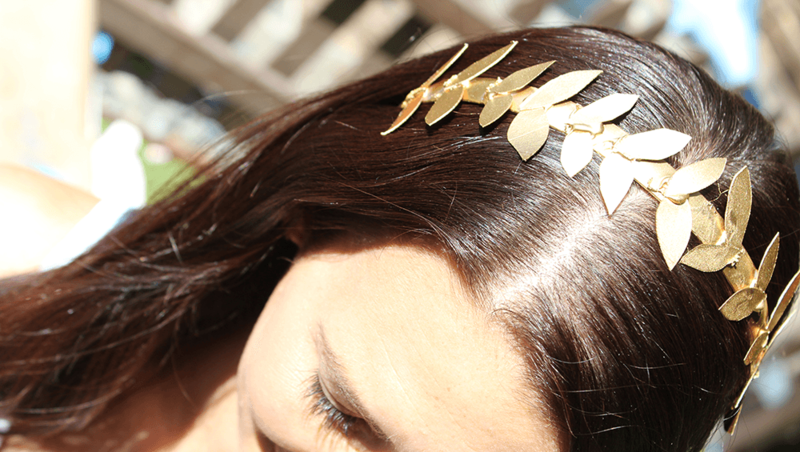 Once you’ve got it all done, the loops on the prongs down so they’re on the bottom or the pegs. Repeat the wrapping/hooking process for a lot of rows. Like a lot of them. Don’t forget you’re always going to end up with a single loop on then end. Don’t worry about it. Seriously, it’s part of the pattern. After about 4 rows, remove the slip knot. Don’t pull or anything, just simply take it off the prong. As you get more comfortable with wrapping and looping you’ll get super fast and you can get a scarf done in just an hour or two. 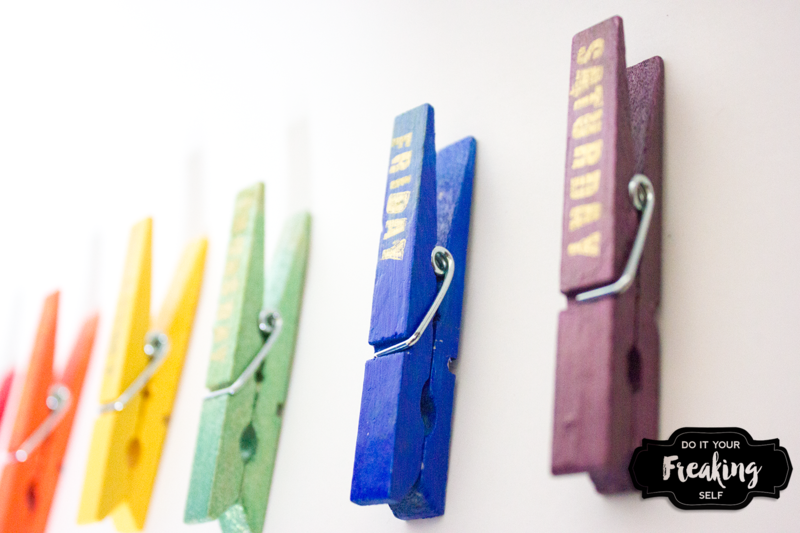 Perfect for those with only a few hours a night and a lot of projects to do. So yeah, keep going until your scarf is the desired length (about 5-6 feet). Then it’s time to cast off. 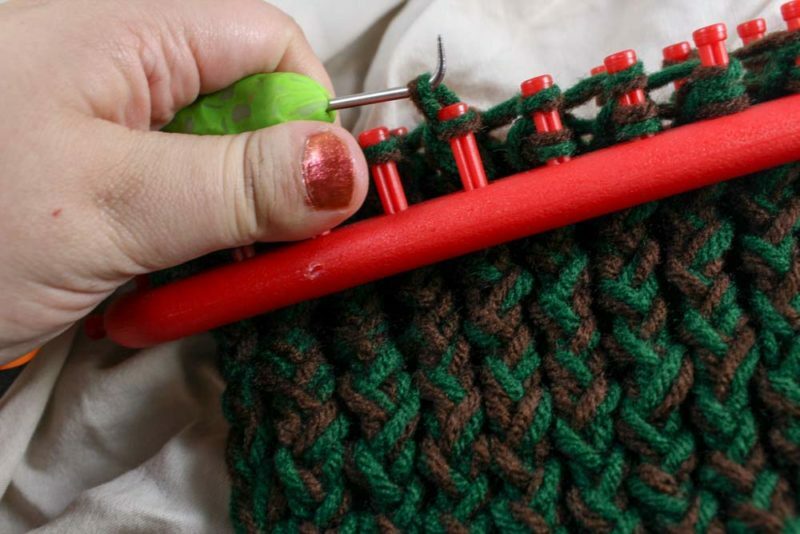 It’s ridiculously easy if you use a crochet needle. I’m just going to send you to this video link because these guys explain it better than I ever could. Once you’ve casted off, grab your yarn needle and attach the ends of the loom knit scarf with a flat seam. Guess what! 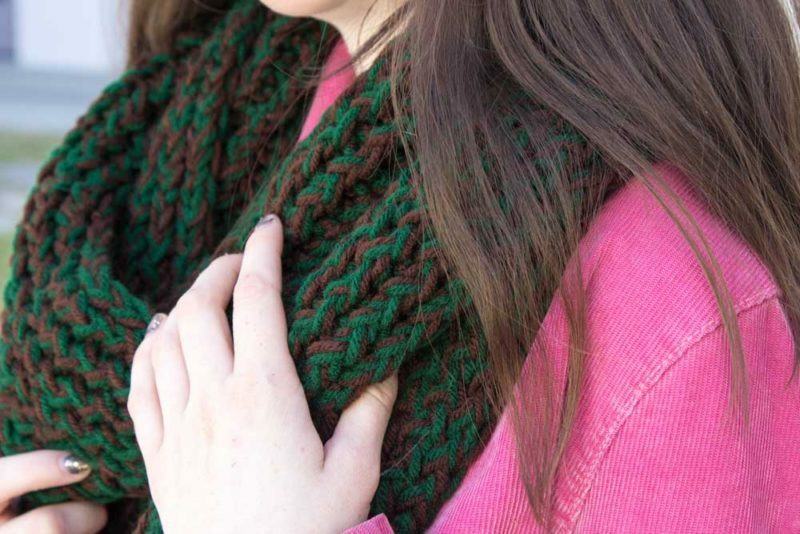 You just made a loom knit scarf all by yourself! Now take what you’ve learned and whip up a bunch more and no one will have to know that you spent under 2 hours a piece on them! This turned out great! I’ve just started learning how to knit but I’ve never used a loom – the fact that it would only take me two episodes of Gilmore Girls (haha!) sounds very appealing though! Thanks! I’m a bit obsessed with loom knitting. Knitting itself is a great way to turn off your mind once you get the hang of it. I tend to stick to smaller projects because my attention span is nil. Needless to say sweaters are out of the question. I love the loom because instead of a week or two to finish a scarf, I can get one done in a few hours. I used your post and love it. It took me a lot longer than two episodes, more like 8-10 altogether but well worth it. Visuals and description very user friendly. Thank you! I’m glad the time was worth it! If you feel comfortable, send me a photo at doityourfreakingself @ gmail.com. I’d love to see what you made! Looks great! Thanks for sharing on craft schooling Sunday, great to meet you! Thanks for stopping by! The plan right now is to have a new crochet or knit project a month. Not sure if I’ll get that far but I’m genuinely hoping to get that out there. 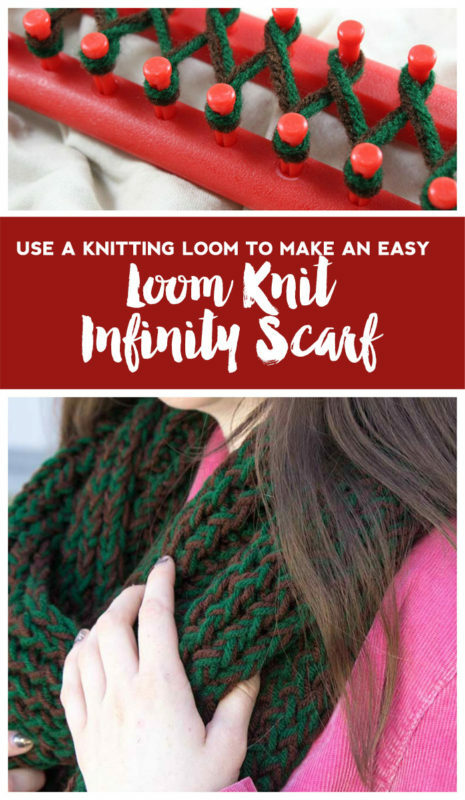 I am using a infinity scarf loom called S loom. How do I finish it and take it off do you know? 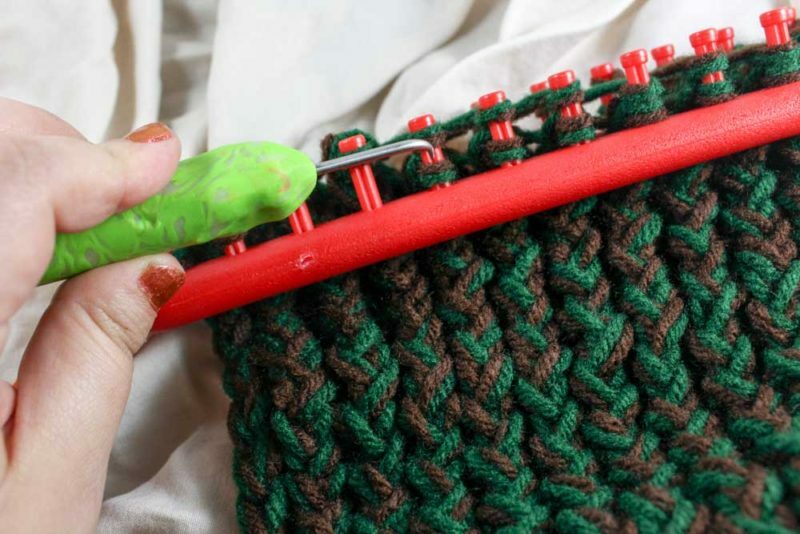 Not knowing what type of bind off you’re going for, I’d suggest sticking with the basic bind off. Here’s a really simple illustrated tutorial. I am used a loom to make an infinity scarf but it keeps curling along the edges, I have tried hand washing and leaving it to dry with weights and even ironing it but it keeps curling every time I wear it, which makes my 24 stitch look thin like a 15 stitch. Any suggestions on how to keep the edges uncurled? Hi Nicola! Edges curling can depend on a lot of things. 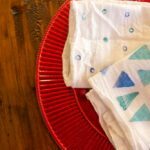 If you followed the method outlined in this post, it could be that you used a smaller yarn or your stitches were too tight. Usually when things curl, its because there is more yarn in the back of the stitch than the front depending on the stitch that you use. too late to do anything for this year, but I am excited to start after the first of the year for next year…I am going to get my granddaughter, daughter and daughter in law a loom too !!! It’s not too late! 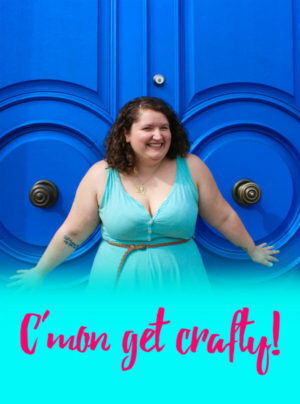 Grab some chunky yarn and you can get one done in a night or two! That is such a lovely idea. 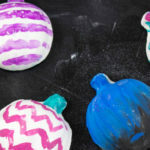 One of my favorite memories is of my grandmother and I crafting around the holidays! How do I attach the ends?